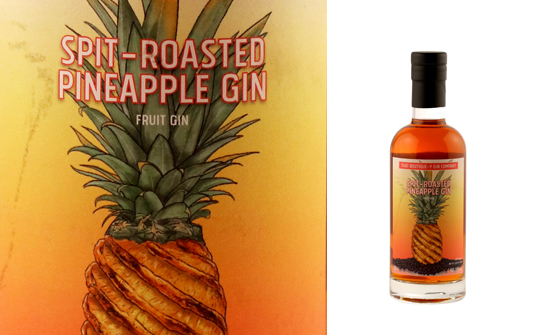 Nose: Pineapple chunk sweets, toasted brown sugar and the twang of fresh pineapple juice. Palate: A soft spirit with a thick and luxurious texture. Initial flavours of grilled pineapple, before notes of spice and a touch of pine. Comments: A great example of a fruit gin with a complex flavour, although traditionalists may prefer more juniper. Nose: Roasted nuts, zingy fresh pineapple and smoky caramel dominate. Palate: Thick and viscous. A big mouthful of burnt Demerara sugar, but the sharpness of the pineapple cuts through to create a complex mix of sweet and sour flavours with added baking spices such as cinnamon and ginger. Finish: Long and sweet with a citrus edge. Comments: One to be sipped over ice. The cocktail possibilities are great too – especially in those where rum and pineapple is normally used.